As of April 29, 2014, the Identify Theft Resource Center (ITRC) has identified 260 breaches (affecting over 8 million records) that have taken place in 2014 alone. Likewise, the ITRC recorded 614 breaches in 2013, a 30% increase over the 470 breaches it reported in 2012. Each new major data breach (think Target) is reminiscent of those that have come before it (Citibank, Sony, Heartland, Countrywide, etc.). 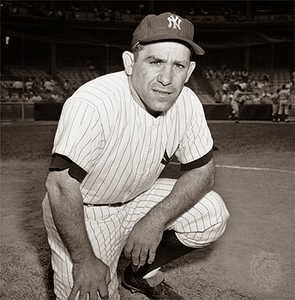 MLB Hall of Fame catcher Yogi Berra, during his more than 50 years as a Major League player, manager and coach, offered (unwittingly or otherwise) baseball and its reading and listening public a great deal of wit and wisdom. In the spirit of the season, several of Berra’s “Yogi-isms” also offer guidance for businesses facing the challenges of protecting information. A bill pending in the South Carolina General Assembly that would make "bad faith assertions of patent infringement" an "unfair trade practice" under South Carolina law got a "jurisdictional boost" from a recent Opinion and Order issued by a Vermont Federal Court judge. The actions of patent-assertion entities (PAEs) that purportedly own patents and use litigation and the threat of litigation to enforce them are well-documented. (For a brief description of the topic and some additional resources, click here). 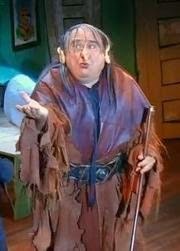 PAEs are referred to by their detractors as "patent trolls." As a general proposition, patent law is exclusively federal in nature. Congress has given the U.S. district courts original and exclusive jurisdiction, pursuant to 28 U.S. Section 1338, over any civil action related to patents. As a result, litigation involving the validity, infringement, and enforcement of patents must take place in federal district court. Despite the federal nature of patent law, the State of Vermont decided to try to use state law (on two fronts) to fight back against certain practices that take place prior to the initiation of patent infringement litigation. On May 22, 2013, Vermont enacted Act. No. 44 creating a private right of action and giving the attorney general civil enforcement action authority in the event of "bad faith assertions of patent infringement." Vermont was the first state to enact such a law, and several states have followed suit. Act No. 44 does not define "bad faith assertions," but instead provides a court with a number of factors to be considered as evidence: a demand letter lacking the number of the held patent or factual allegations regarding the specific areas in which the demand letter recipient (the "target") infringes the patent; failure to conduct a due diligence comparison of the patent with the target's products, services, or technology; the demands in the letter are unreasonable; or the assertions made in the letter are meritless or deceptive. The Act also lists a number of factors to be considered in order to determine that a holder has not made a bad faith assertion of patent infringement. On the same day, the Vermont Attorney general served a company called MPHJ Technology Investments, LLC (MPHJ) with a Complaint filed in Vermont state court and alleging violations of the Vermont Consumer Protection Act. Of note, the lawsuit did not allege a violation of the statutory provisions created by Act. No. 44. As described more fully in the Complaint, MPHJ and its subsidiaries sent a series of letters to various Vermont businesses regarding ownership of certain email scanning patents and demanding that the recipients purchase licenses or face infringement lawsuits. The Complaint alleged that these letters were "false, deceptive and misleading" because (among other things): 1) MPHJ did no due diligence to determine whether "the recipients were likely infringers"; 2) small businesses in commercial fields unrelated to patent law were targeted; 3) contrary to its letters, MPHJ did not actually receive "a positive response regarding its licensing programs"; 4) very few recipients had purchased licenses (not "many" or "most" as claimed in the letters); and 5) MPHJ had not filed a single lawsuit to enforce its patents. MPHJ removed the case to Federal Court, based on federal question and diversity jurisdiction. Judge Sessions found no basis for federal court jurisdiction, and remanded the case to state court. First, Vermont's VCPA claim did not arise under federal patent law or create a substantial federal question. Broad brush, the claim that MPHJ acted in bad faith doesn't depend on any determination of federal law, but "is about consumer protection, not about patents." With respect to diversity (which requires an action between "citizens of different states"), the State of Vermont is not considered a "citizen" for purposes of 28 U.S.C. Section 1332, and the Court rejected MPHJ's argument that the citizens of Vermont (not the State) were the "real parties in interest" in the case. (For more on recent U.S. Supreme Court jurisprudence addressing "real party in interest" allegations, click here). The case will now proceed toward a decision on the merits in state court. For a more complete description of the Vermont district court decision, please see this Corporate Counsel article. In December of last year, Representative Kirkman Finlay prefiled H4371. This legislation, which has been passed by the House, is currently being considered by the South Carolina Senate. (The legislation underwent substantial revision in subcommittee, and in its current form is quite different from the version posted online). H4371, entitled the "Bad Faith Assertion of Patent Infringement Act," makes sending a demand letter "alleging patent infringement in bad faith" an "unfair trade practice" under Section 39-5-20 of the South Carolina Unfair Trade Practices Act, and provides the remedies that exist currently in the SCUTPA. Like the Vermont law, the legislation gives the Attorney General the ability to bring actions to enforce the Act and provides both a number of factors for a court to consider as evidence that a "bad faith assertion of patent infringement" has taken place, as well as those factors tending to demonstrate that a person has not made such a bad faith assertion. Should H4371 become law, plaintiffs in those state court actions filed to enforce its provisions will undoubtedly rely in part on the reasoning employed by Judge Sessions in challenging removal. One question that has not been addressed yet is whether the "bad faith" standard established by or applied according to a state law like Act No. 44 or H 4371 would be preempted by federal patent law. See Globetrotter Software, Inc. v. Elan Computer Group, Inc.
(This is an adapted version of a presentation made at the S.C Bar Convention). Each passing year brings more appellate court decisions, at the state and federal levels, addressing arbitration. 2013 was no exception. The South Carolina Supreme Court considered several issues of first impression, in the areas of arbitration award confirmation, “manifest disregard of the law,” and “evident partiality.” And our appellate courts took up questions about whether arbitration claims are subject to the Federal Arbitration Act (“FAA”), the “unconscionability” of an agreement to arbitrate, waiver of the right to arbitrate, and the scope of an agreement to arbitrate. Payment of an arbitration award does not prevent confirmation of the award. Purchaser and car Dealer arbitrated their SCUTPA and Dealers Act claims, and arbitrator found for Purchaser. Dealer did not move to vacate, modify or correct the award. Purchaser moved to confirm the arbitration award, and the circuit court granted the motion. Dealer argued that paying the award removed any “justiciable controversy” (based on the idea that the purpose of confirmation is to enter an enforceable judgment) and mooted the motion for confirmation. Purchaser responded that confirmation was mandated by S.C. Code Ann. Section 15-48-120 (found in the South Carolina Uniform Arbitration Act “UAA”), and necessary in order to conclude the action. Upon application of a party, the court shall confirm an award, unless within the time limits hereinafter imposed grounds are urged for vacating or modifying or correcting the award, in which case the court shall proceed as provided in §§ 15–48–130 [vacating award] and 15–48–140 [modification or correction of award]. Confirmation is a “ministerial recording of the result” (the award) in an arbitration proceeding. And because both the UAA and the FAA use the term “shall”, confirmation is mandatory. Addressing Dealer’s mootness argument, Justice Beatty reasoned that “[c]onfirmation of an award is a distinguishable issue from a defendant’s payment or satisfaction of an award.” Accordingly, payment of an award is characterized as a “defense to any attempt to execute on a judgment,” and does not extinguish the right or obligation to confirm an award. Note also the Court’s holding that because confirmation is a procedural matter, the UAA’s confirmation statute (Section 15-48-120) applies instead of the FAA’s confirmation provision (9 U.S.C. Section 9). Contractor agreed to build a house for Buyers, at a contract price exceeding $800,000. Contractor possessed a license that limited its construction projects to those that did not exceed $100,000. Contractor filed an action in circuit court seeking to enforce a mechanic’s lien, and Buyers compelled the matter to arbitration. Although Buyers moved to dismiss the arbitration based on the fact that Contractor did not have a “valid license” and therefore could not bring an action to enforce the contract pursuant to S.C. Code Ann. Section 40-11-370(C), the arbitrator disagreed and found for Contractor on the merits of the case. Buyers challenged the award, alleging “manifest disregard of the law” on the part of the arbitrator. The trial court and the Court of Appeals ruled against the Buyers. [F]or a court to vacate an arbitration award based upon an arbitrator’s “manifest disregard for the law”, the “governing law ignored by the arbitrator must be well defined, explicit, and clearly applicable. Indeed, an arbitrator’s manifest disregard for the law, as a basis for vacating an arbitration award occurs when the arbitrator knew of a governing legal principle yet refused to apply it. Contractor admitted that it did not have the license required to perform the project, and the Court concluded that the arbitrator ignored “governing law” (Section 40-11-370(C)) that was “well defined, explicit, and clearly applicable” in refusing to grant Buyers’ motion to dismiss. In other words, because Section 40-11-370(C) plainly prevented Contractor from bringing a claim, the manifest disregard standard was met. Justice Pleicones dissented, pointing out that the clarity of Section 40-11-370(C) was not the question before the Court. Instead, the “manifest disregard of law” analysis asks “whether the arbitrator knowingly refused to give the term its well-defined and explicit meaning.” (Emphasis added). While “valid license” in Section 40-11-370(C) may be unambiguous, that term had never been addressed before by the Court, and the cases referenced by the Majority did not address that provision. As a result, the meaning was not so “explicit” that the Court could conclude that the arbitrator “knowingly refused” to apply it. Because manifest disregard of the law “presupposes something beyond a mere error in construing or applying the law,” Trident Technical College v. Lucas and Stubbs, 286 S.C. 98, 333 S.E.2d 781 (1985), under the Court’s “very limited scope of review” Justice Pleicones would have upheld the arbitrator’s award. In his view, showing that a party would have been successful on appeal is not enough to prevail in vacating an arbitration award under the “manifest disregard of law” standard. Keep in mind that the manifest disregard standard is applied on a case-by-case basis. This case involved the first consideration of the standard for “evident partiality” sufficient to vacate an arbitration award pursuant to S.C. Code Ann. Section 15-48-130(a)(2). A commercial dispute arose between a Contractor and the Owners of property related to the construction of a commercial building. The circuit court compelled arbitration based on an arbitration clause in the construction contract. The arbitrator determined that the Contractor was owed money under the construction contract. The circuit court vacated the arbitration award, applying the standard in the South Carolina Code of Ethics for Arbitrators requiring disclosure of any relationship that “might reasonably create an appearance of partiality or bias,” and concluding that the “arbitrator’s conduct demonstrated evident partiality in favor of” the Contractor. The South Carolina Supreme Court certified the case per Rule 204(b), SCACR, and proceeded to consider the legal standard for “evident partiality” as a question of law to be reviewed de novo. Because there is no South Carolina precedent addressing the “evident partiality” ground to vacate an award found in S.C. Code Ann. Section 15-48-130(a)(2), the Court decided to look to federal applications of “evident partiality” (as the language in FAA –Section 9 U.S.C. 10(a)(2)- is similar). Following the lead of federal case law, the Court required “the party seeking vacatur to demonstrate that a reasonable person would have to conclude that an arbitrator was partial to the other party to the arbitration.” ANR Coal Co. v. Cogentrix of North Carolina. the proximity in time between the relationship and the arbitration proceeding. Owners did not demonstrate evident partiality according to this standard. First and foremost, the arbitrator was “unaware of the undisclosed relationship until several months after the arbitration award was made.” Nor was the engineering firm a party to the arbitration, and the arbitrator had no direct relationship with the employee of the engineering firm. Moreover, the employee of the engineering firm was not employed by the engineering firm during the time work was performed on the project. The test for whether a contract concerns a “transaction involving interstate commerce” for purposes of arbitration under the FAA is not limited to a determination of whether the agreement “on its face” demonstrates that the parties contemplated an interstate transaction. A marina construction Contract between Contractor and Subcontractor provided for arbitration under the FAA. When the Subcontractor sought to foreclose on its mechanic’s lien, Owner and the Contractor moved to compel arbitration. Subcontractor opposed arbitration because 1) Owner was not a party to the Contract and could not compel arbitration; and 2) the arbitration clause was not enforceable under the FAA because the transaction did not impact interstate commerce. The circuit court refused to compel arbitration because performance of the Contract didn’t involve an impact on interstate commerce sufficient to trigger application of the FAA. Moreover, the circuit court concluded that the Owner could not demonstrate a “special relationship” with one of the contracting parties sufficient to compel arbitration. Justice Kittredge disagreed. First, this particular marina construction transaction is subject to arbitration under the FAA because it falls within the reach of the three categories of the Commerce Clause: 1) use of the channels of interstate commerce; 2) regulation of persons, things, or instrumentalities in interstate commerce; and 3) regulation of things having a substantial relation to interstate commerce. United States v. Lopez. The materials used to construct the dock were manufactured in Ohio, and the Contractor consulted with an out-of-state engineering and survey company in connection with the dock section installation. The construction site is on the Wando River (within a channel of interstate commerce), and the Contractor used barges and other instrumentalities of interstate commerce to transport materials and equipment used in connection with the project. Accordingly, to the extent that Timms v. Greene required an arbitration agreement to demonstrate on its face that the parties contemplated an interstate transaction, this case overruled it. The Court then quickly determined that the disputes between the parties should be compelled to arbitration, and that the Contract’s plain language allowed the Owner to be joined as a party in the arbitration. An arbitration clause banning statutory remedies and allowing the stronger party judicial remedies that supersede consumer arbitration remedies is unconscionable, following the rule in Simpson v. MSA of Myrtle Beach, Inc. (“Simpson”). Also, under the United States Supreme Court’s decision in AT&T Mobility LLC v. Concepcion (“Concepcion”), the FAA preempts any state law provision invalidating class action waivers on public policy grounds. The factual and procedural history of this case is so tortured that describing it would take more pages than the entire presentation. The test for unconscionability has two parts: "In South Carolina, unconscionability is defined as the absence of meaningful choice on the part of one party due to one-sided contract provisions, together with terms that are so oppressive that no reasonable person would make them and no fair and honest person would accept them." Simpson. "In analyzing claims of unconscionability in the context of arbitration agreements, the Fourth Circuit [Court of Appeals] has instructed courts to focus generally on whether the arbitration clause is geared towards achieving an unbiased decision by a neutral decision-maker." Id. Subsequently the United States Supreme Court vacated Herron I and remanded same to the S.C. Supreme Court to reconsider its invalidation of the provision banning class arbitration in light of Concepcion. Concepcion held that the FAA preempts state law when it “allows any party to a consumer contract to demand [classwide arbitration], notwithstanding the presence of a class arbitration waiver in an otherwise valid arbitration agreement.” 131 S.Ct. at 1750. On remand (Herron II), the South Carolina Supreme Court determined that the issue of preemption was not preserved for review, and reinstated its original opinion. So this York case represents the first time that the issue addressed by Concepcion has been presented to a South Carolina appellate court. Accordingly, the Court of Appeals determined that two arbitration agreement provisions prohibiting class arbitration and representative actions were valid and enforceable. This decision affirmed a circuit court determination that an arbitration clause in a purchase agreement was unenforceable because it was unconscionable. The Smiths filed a construction defect case against builder D.R. Horton ("Horton") in connection with a house they purchased from Horton. Horton moved to compel arbitration based upon an arbitration clause found in Section 14(g) of the purchase agreement. The arbitration clause was a subsection of the purchase agreement's Section 14 "Warranties and Dispute Resolution." The circuit court considered Section 14 "Warranties and Dispute Resolution" "as a whole," and denied Horton's motion to compel arbitration because certain provisions contained in Section 14 (not just in Section 14(g)) made the arbitration clause unconscionable. The Court of Appeals affirmed the circuit court's decision based upon "the supreme court's analysis in Simpson," and cited Section 14(c)'s disclaimer of certain warranties and Section 14(i)'s limitation of liability provisions as examples of "oppressive and one-sided provisions." Horton claimed that the rule of Prima Paint Corp. v. Flood and Conklin Mfg. Co., (“Prima Paint”) prevented court consideration of other provisions in the purchase agreement outside the arbitration clause in making an unconscionability determination. According to Prima Paint, the issue of contract validity (as opposed to the issue of the validity of an arbitration agreement found within that contract) is for the arbitrator, not the courts. Prima Paint’s rationale is that the FAA applies only to those agreements to arbitrate between parties, and therefore a court is empowered only to hear a “discrete challenge” to the parties’ arbitration agreement. Justice Black, dissenting in Prima Paint, characterized the Court’s holding as “fantastic” and inconsistent with the language of § 2 of the FAA. The Court of Appeals, perhaps echoing Justice Black, has referred previously to the Prima Paint rule as a “surprising result,” See New Hope Missionary Baptist Church v. Paragon Builders because the FAA empowers a court to hear an unconscionability challenge to an arbitration agreement that is part of a contract, but not the contract itself. In considering the purchase agreement, the Court of Appeals acknowledged the application of Prima Paint in South Carolina: "'[A]n arbitration clause is separable from the contract in which it is embedded and the issue of its validity is distinct from the substantive validity of the contract as a whole.' Munoz v. Green Tree Fin. Corp. (citing Prima Paint).'" However, the Court of Appeals construed Horton's claim as seeking to sever the offending provisions from the purchase agreement and send the remainder of the purchase agreement to arbitration. Accordingly, because the Simpson court determined that severability was not an appropriate remedy, the Court of Appeals declined to do so also. Of course, Horton undoubtedly sees "separability" and "severability" as two very different things. Likewise, echoing Munoz, a ruling on whether the FAA applied to the purchase agreement might have brought the issue of separability into sharper focus. However, the Court of Appeals did not address the issue of whether the FAA or the UAA applied to the purchase contract, based on its disposition of the case on unconscionability grounds. This is not a case about arbitration. However, Justice Beattie’s dissent offers a pretty good survey on the ways in which a limitation of liability provision in a contract can be unconscionable and violate public policy. A party does not waive its right to arbitrate merely by engaging in litigation for over two years before seeking to compel arbitration. Homeowners entered into a purchase agreement with Developer to buy a Sun City house in Hilton Head. The purchase agreement had an arbitration clause. In September of 2008 Homeowners filed a lawsuit (one of 140 involving Sun City homes) alleging construction defects in the house’s stucco siding. Developer’s answer alleged 1) Homeowners’ failure to comply with the Right to Cure Act; and 2) the claim was subject to arbitration. After a number of intervening events, including motions to dismiss, stays, and extensions in this case and in related stucco cases, on February 14, 2011 Developer moved to compel arbitration. On October 20, 2011 the circuit court denied the motion and ruled that the Developer had waived the right to compel arbitration based on the delay in filing the motion. Judge Williams reversed the circuit court, citing the three factors used to determine whether a party has waived its right to compel arbitration: 1) whether a substantial amount of time transpired between the commencement of the action and the filing of the motion to compel arbitration; 2) whether the party requesting arbitration engaged in extensive discovery before moving to compel arbitration; and 3) whether the non-moving party was prejudiced (not merely inconvenienced) by the delay in seeking arbitration. Davis v. KB Home of SC, Inc.. Although over two years elapsed between the commencement of the action and the filing of the motion to compel arbitration, that delay was due in large part to the circuit court’s decision to address the Right to Cure Act issues first (and not due to any fault of the Developer). Addressing the second factor, no discovery of any type had taken place. Accordingly, the lack of activity in the case meant that the Homeowners could show no prejudice as a result of the delay. Tort claims that bear a “significant relationship” to an employment agreement fall within the scope of an agreement to arbitrate. When the Bank’s finances unraveled during the “recent unpleasantness,” the Bank terminated Landers. As described in some detail in the case, Landers and various bank personnel were not on the best of terms prior to and following his departure. Landers brought a lawsuit alleging 1) breach of contract/constructive termination; (2) slander/slander per se; (3) intentional infliction of emotional distress; (4) illegal proxy solicitation and (5) wrongful expulsion as a director. The circuit court granted the motion to compel arbitration of the breach of contract/constructive termination claim, but denied the motion with respect to the other causes of action, concluding that “there was not a significant relationship between the claims” and the employment agreement. To be sure, certain allegations of defamation, such as the statement that an individual is “the company drunk” (as cited in another case), might fall outside the coverage of an arbitration clause. However, the connection between the alleged defamatory statements and Landers’ performance of his job, in combination with the strong presumptions in favor of arbitration and reading an arbitration clause broadly, created the “significant relationship” necessary to compel arbitration. Case Brief: Riley v. Ford Motor Co.